NORTH CANTON, OH October 18, 2017 – The Kenan Advantage Group, Inc. (KAG), announced receiving awards from its customer in recognition of the company’s uncompromising commitment to safety and operations. KAG is North America’s largest bulk transportation and logistics provider, delivering fuel, chemicals, industrial gases and food-grade products. 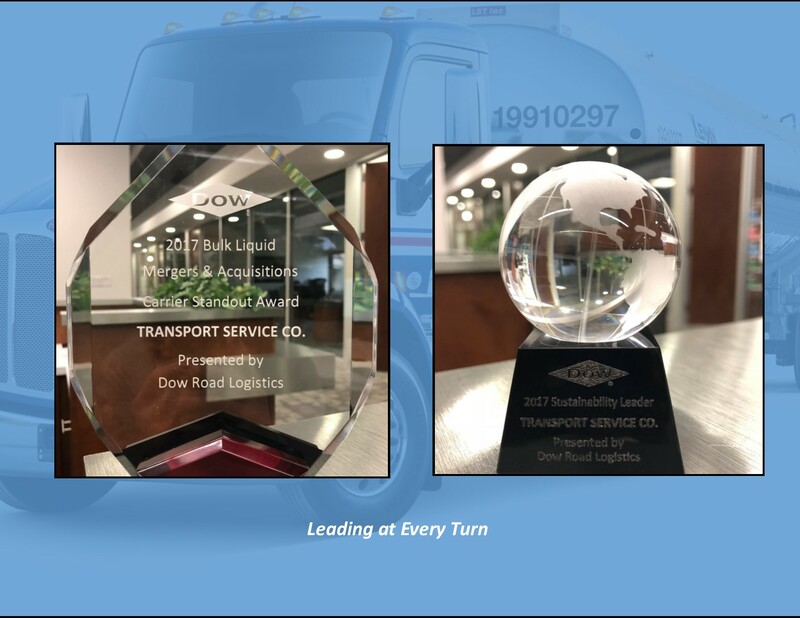 Dow Road Logistics presented KAG’s Specialty Products Group (SPG) subsidiary Transport Service Co. with the 2017 Bulk Liquid Mergers & Acquisitions Carrier Standout Award and the 2017 Sustainability Leader Award. The Kenan Advantage Group, Inc. (www.thekag.com) operates through its five groups consisting of Fuels Delivery, Specialty Products (chemicals and liquid food), Merchant Gas, KAG Canada and Logistics. The company has terminal and satellite locations in 40 states and five Canadian provinces and territories, with the ability to deliver within all 48 contiguous states, Canada and Mexico. KAG also provides specialized supply chain logistics services through KAG Logistics (www.kaglogistics.com).